It is a new and improved series of one piece pipe hanger, auto-locking pipe hanger / self-locking pipe hanger and self locking conduit supports. It is a corrosion resistant and non-magnetic pipe clamp used in construction and design industries. 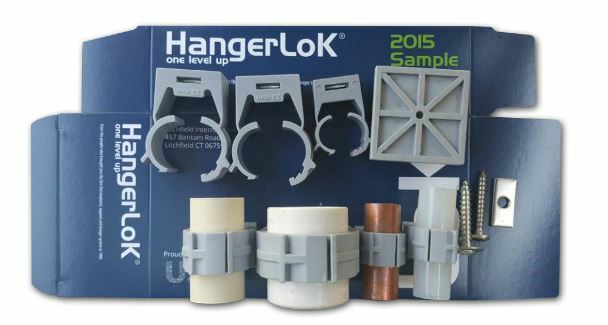 Hangerlok products are available from 3/8 inch to 4.25 inch diameters. They are used for all types and weights of electrical conduits, telecommunications and structured cables, plumbing pipe, pvc, cpvc, pex, stainless steel, and other specialty piping systems. Made in two types of engineered polymers, Hangerlok is used for indoor and outdoor applications. Colored a RAL gray¸ the product is UV stabilized and UL V0 rated.